Prints Abound: Paris in the 1890s, National Gallery of Art, Washington, 2000-2001, no. 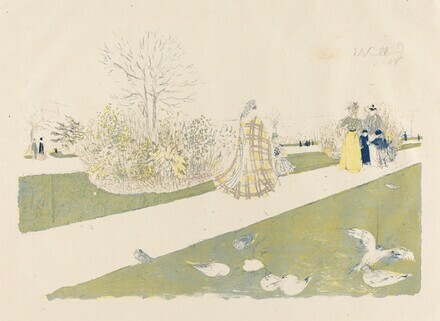 35, as Le Jardin des Tuileries (The Tuileries Garden), from Album des peintres-graveurs. Clayton, Virginia Tuttle. Gardens on Paper: Prints and Drawings, 1200-1900. Exh. cat. National Gallery of Art, Washington, 1990: 100. Prints Abound: Paris in the 1890s. Exh. cat. National Gallery of Art, Washington, 2000-2001: no. 35.